I am Betty — the cutest kitty you’ll meet today! 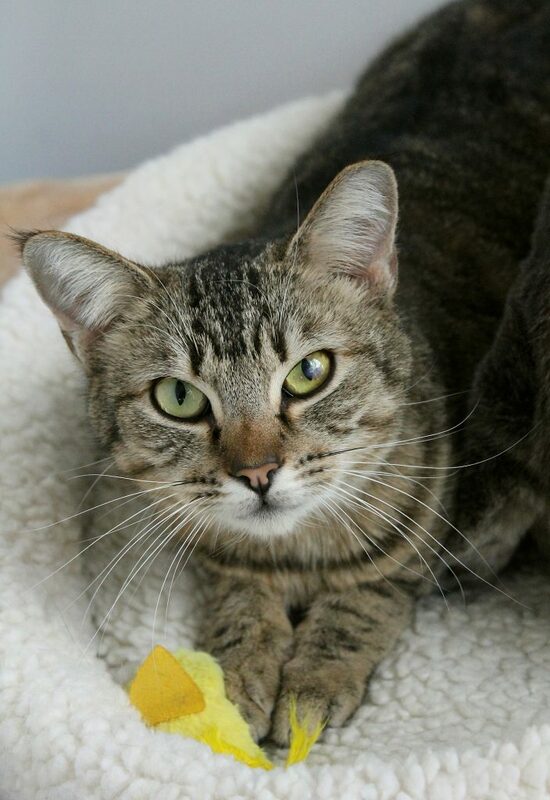 I’m a super adorable and easy-going 1-year-old kitty that spent the first year of my life in a nice foster home around many other super social kitties, so nothing really phases me! I have adjusted very quickly here at the shelter and have made friends with pretty much everyone I meet — people and cats included. I seem to be totally in love with other cats and can often be caught snuggling with them and grooming them, even if they aren’t super into it themselves — I can win almost anyone over! I would be a great fit for almost any home, as I am wonderful with people big and small. I would definitely be a good family cat and could probably do just fine around dogs as well. Since I’m so cat social, I would probably be happiest in a home with another kitty. I need a playmate, after all! I’m still young and really enjoy chasing strings, wrestling, and long naps on the couch. You may notice I have a tiny bit of scar tissue one my left eye that is probably a result of having an eye infection as a young kitten. It doesn’t seem to affect my vision at all, and the vet says it doesn’t cause me any pain. I’m a very hearty cat in great health and I can’t wait to meet my new family! Could you be it? Stop by Pixie today to say hello! I come to you fixed, vaccinated, and micro-chipped for an adoption fee of $100.